Path of Exile is a free-to-play fantasy Diablo-style RPG which allows players to engage in dungeon crawling, loot-gathering PvE adventures, or take each other on through PvP combat. Path of Exile is an online action role playing game (ARPG) that is developed by Grinding Gear Games. It is completely free to play and is found on the Steam network. It was a game to rival the likes of other popular ARPGs of the time, and did so very well. Since its launch in 2013, the game has had multiple expansions and grown more than twice its player base. Path of Exile is a game in which the player controls a singular character who is proficient at a set of skills. There are seven available classes to pick from, each of which has its pros and cons and allows you to play the game exactly as you’d like. There are no restrictions on the classes, meaning any class can yield any weapon and use any skill, the only difference is where in the skill tree they start. Path of Exile has very unique gameplay. You start off with essentially nothing and you work your way through the campaign, either solo or with a party. As you progress, you will kill monsters and level up both your character and your skills. You will also find weapon from killing enemies or completing quests, which is how you progress. You will need to collect equipment and train your skills in order to defeat the bosses and continue to progress through the story. Whether you intend to play the game for the story or not, the story is most definitely present and tells a compelling story. There are a few games that have come out hoping to catch the success that Path of Exile did, and I can recommend them with confidence to anyone who enjoys Path of Exile. The economy of the game is not the usual ARPG standard, because there is no gold. Instead of gold the economy is based around the items themselves, whether it be materials, scrolls, orbs etc. These items are essential to help players in the game with their gear and builds so there’s a barter/trade community to keep the economy interesting. It’s a good move because it’s a community builder that encourages interaction and grouping with others. It also keeps players playing because messing about with sockets, changing items properties and finding out what the stats are on your latest unique drop is what makes playing an ARPG fun. Like most free-to-play games there are ways to add cosmetic items or boosts to your character by spending real money. However, “Path of Exile” never bombards you will excessive advertisements or annoying reminders. Honestly, I didn’t even realize I could access the store during the game until several hours playing. The focus is strictly on gameplay and that’s one of the reasons “Path of Exile” remains a must play “Diablo” clone. It is safe to say that U4GM offers the cheaper PoE orbs than ever. Time is limited, make sure to size the opportunity to get cheapest PoE currency on U4GM. 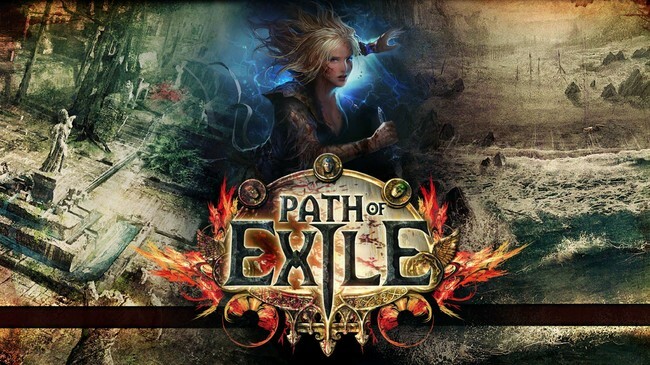 This entry was posted in News, Path of Exile, Tips and tagged Overview, Path of Exile, Review. Bookmark the permalink.